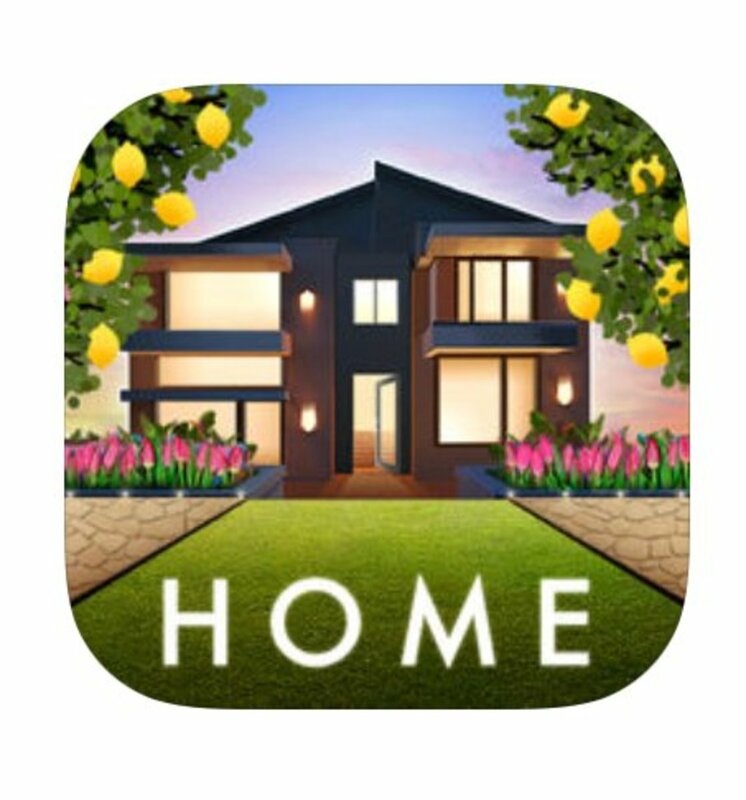 One of the things I love about mobile gaming is that there are games out there for everyone from my five-year-old daughter to the retiree looking to pass some time on the porch. Some people are looking for an in-depth gameplay experience, while others are looking to kill a minute while they stand in line at the DMV. The latter of the bunch aren't looking to get drawn into a game, they just want to keep their brain occupied and have the ability to shut the game off as soon as their number is called without any consequences. For those people, I have compiled this list of incredibly simple and borderline dumb games that will keep you busy for hours if you let them. 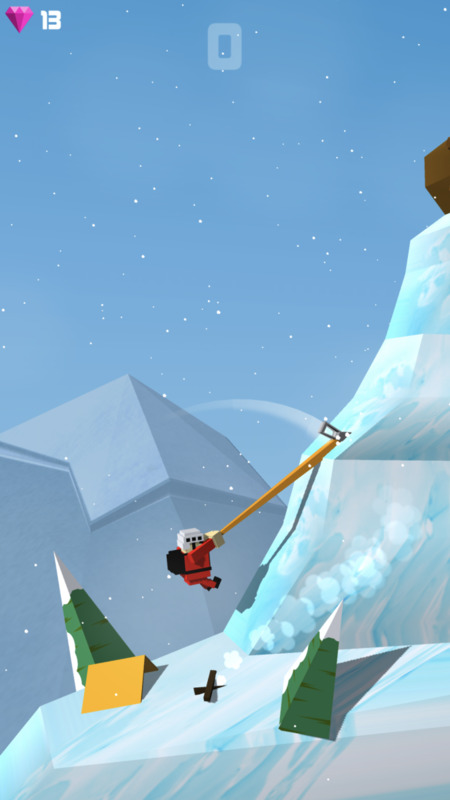 You would think that a game about mountain climbing would be boring, but Axe Climber will keep you coming back for more. The controls are simple, you just hold down on the screen, and your ax lengthens and shortens. When you think you have the perfect length to sink you pick into the mountain and flip up without hitting any obstacles, you let go. The real challenge is all of the obstacles you face; there is the spiky mountainside, the eagle ready to peck you off the edge, the active volcanos, and even faulty ground that threatens to give way if you're not careful. This is an excellent pick-up-and-play game because even on your best day one round will take a minute at maximum. With all of the challenges you face in this game, you will be if you can make it that long. Since there is no ongoing story, it is also a game that you can exit out of at any time and not feel guilty about ruining your progress. One more benefit to Axe Climber is that it doesn't have any sound, so you don't have to worry about disturbing the people around you if you are playing it to pass the time in public. Sometimes it is the simplest of games that can keep our attention for hours. The idea behind Dune is about as simple as you can get. 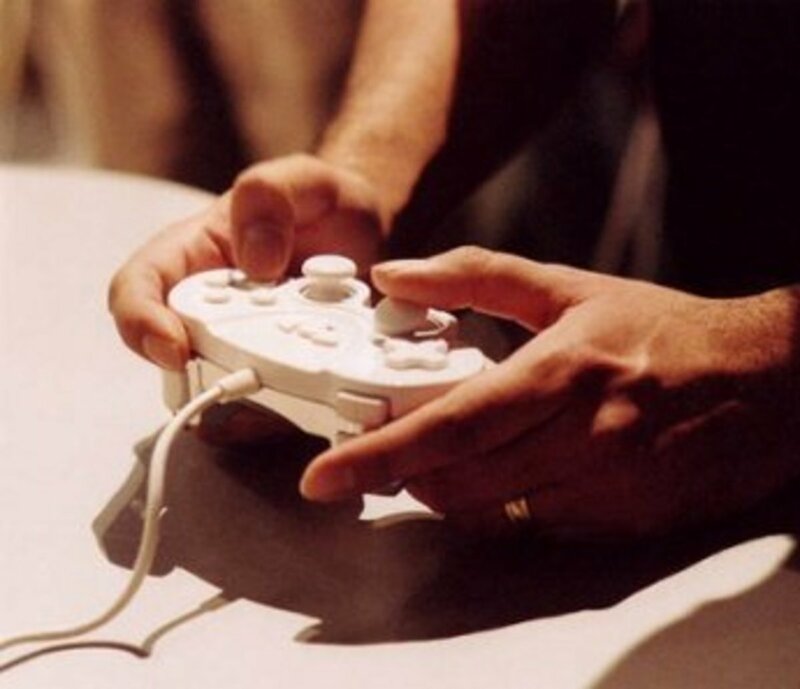 It is a single touch game that is more challenging than you would think a game with a single touch could be. 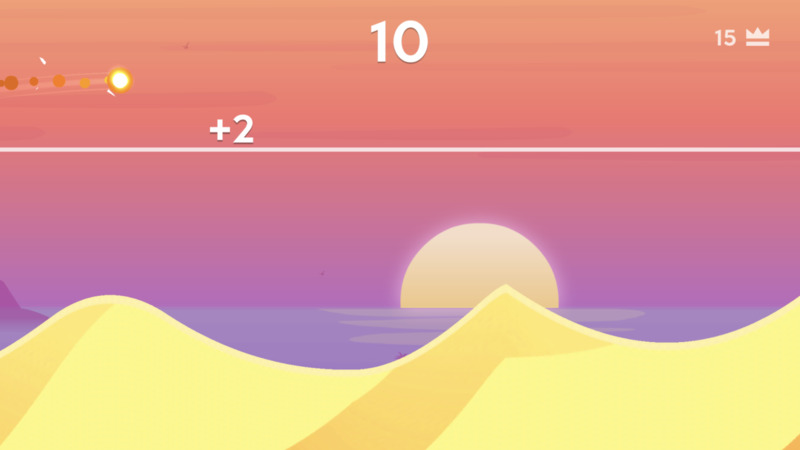 Touch the screen to get your ball moving, as it picks up speed it will start to jump off of the dunes. Taking your finger off the screen allows you to get air and touching the screen again makes your ball dive. If you dive correctly, you can gain points and speed up your ball even more. A lousy dive usually ends with a crash and the end of the round. Even the best players in the world are going to find this game challenging. It is the kind of game that only takes a minute per round, but you will want to keep playing over and over again. Being able to change the ball and the landscape gives this game even more replay value. Though you can easily put this game down with no repercussions if you have to, you may find yourself losing hours in the day playing Dune. Voodoo seems to be a master and pick-up-and-play games as this is just one of many of their offerings. Go Planes such a simple game, but it is a lot of fun at the same time. 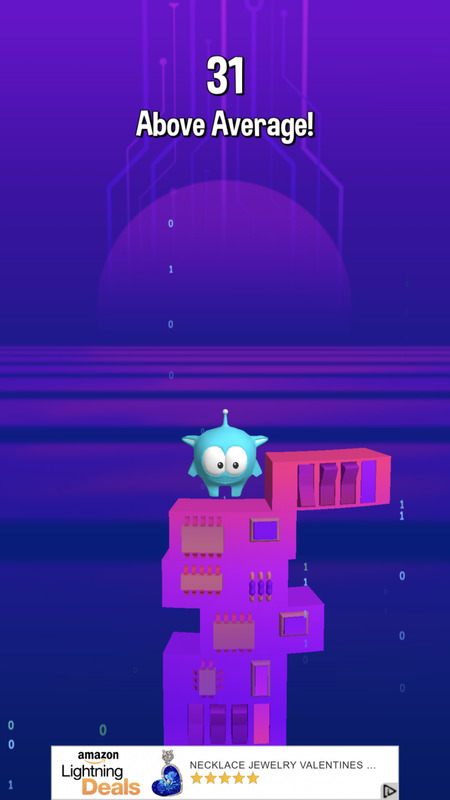 The idea behind the game is to fly around avoiding rockets and collecting coins. Some slick piloting causes the missiles to collide with each other reducing the danger and gaining you points in the process. The best part about it is that there are no complicated controls you just use your thumb to steer your plane. Though the idea is simple, the game is pretty challenging. 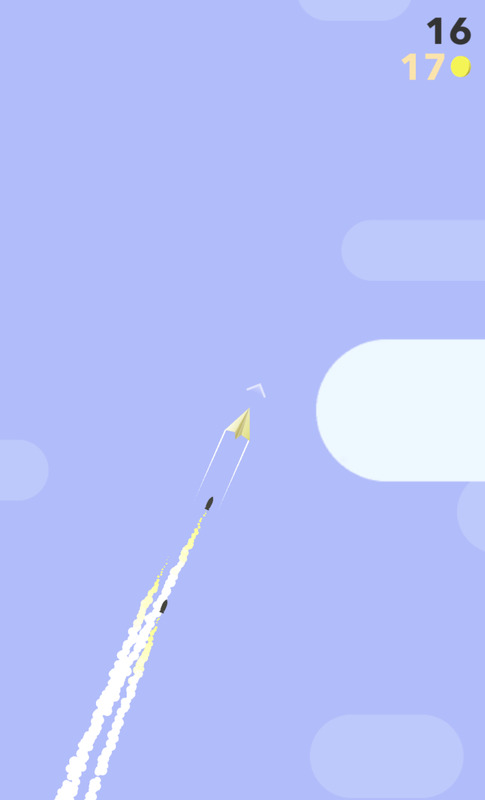 The rockets come at you fast and from multiple directions so the gameplay can get pretty intense. That said, there is not a lot on the line so it, is easy to quit whenever you feel like it. One thing I like about this game is that there are goals for you to accomplish which unlock more maps and different planes to keep the gameplay fresh. This may be the dumbest game out of all of them, yet it is ridiculously addicting. 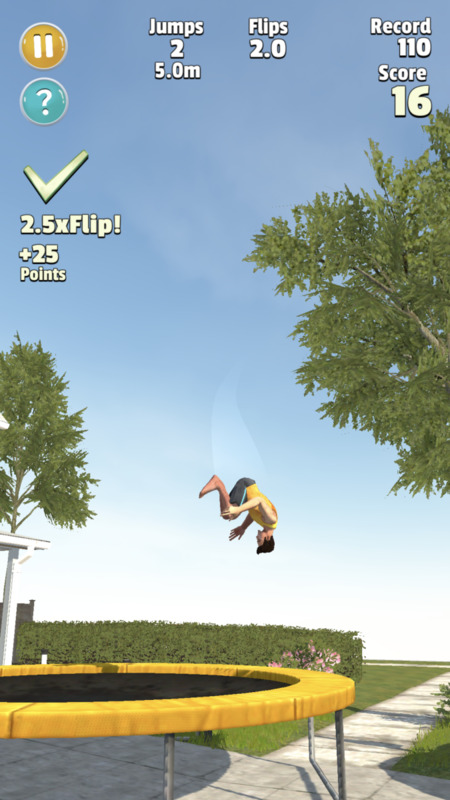 The object of the game is to keep flipping on the trampoline gaining points as you go. The longer you go the more challenges and rewards pop up. Earning coins allows you to buy spins where you can earn different flips and news maps. You wouldn't think that a game that is all about flipping on a trampoline could keep you busy but there is a lot of finesse that goes into sticking the landing. It only takes a single touch to tuck and spin, the challenge is learning when to release to stick the landing. Though a single round will probably not take too long depending on your skill level, you may find yourself playing embarrassingly long while trying to perfect your landing. 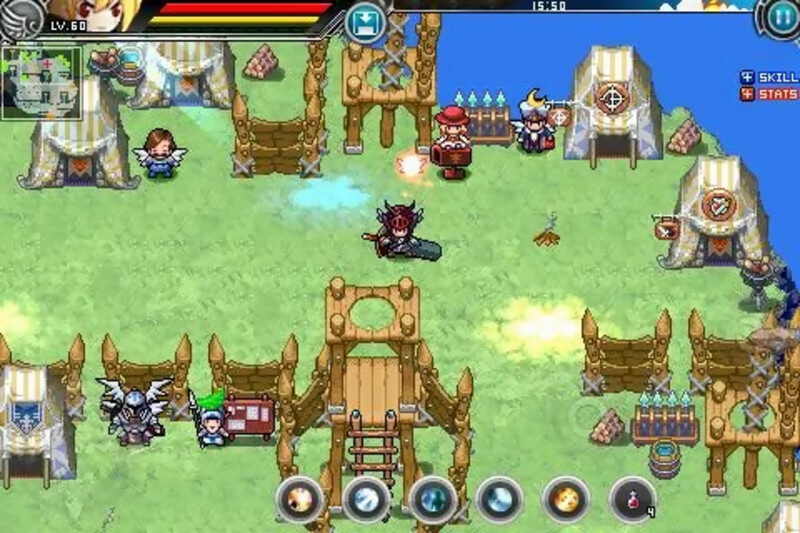 Fire Rides is a perfect example of a game that is meant to keep your mind occupied while you're standing around. Like the other games on this list, it only takes a single tap to control the whole game. You control a ball that is flying through the air, tapping to shoot a line out to swing through the obstacles and hit the targets. Fire Rides is not the most challenging game, but it is a lot of fun. They keep the game fresh by offering different balls which don't only look different but swing differently. There are also variously shaped portals that you can earn. What I like about this game are the sound effects. The sound of your ball fizzling out as you crash is surprisingly pleasing to the ears. 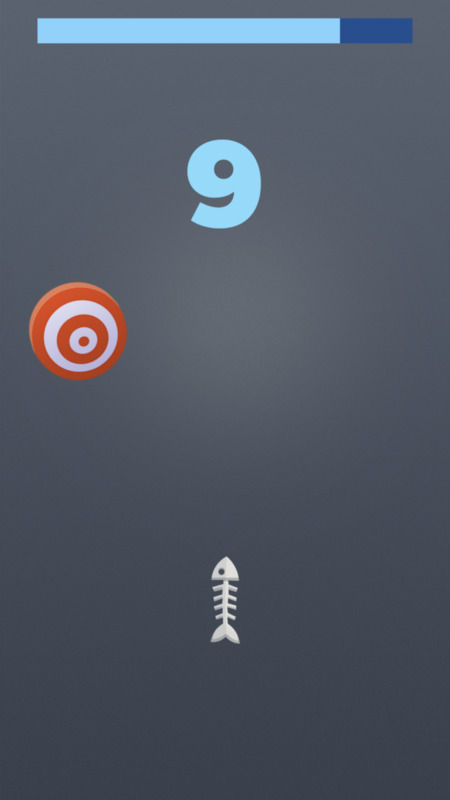 You won't find a game on the iPhone that is simpler than this one. Still, it is ridiculous how engaging such a simple game can be. The entire game is throwing knives at a circular object making sure that you don't hit the knives you have already thrown. 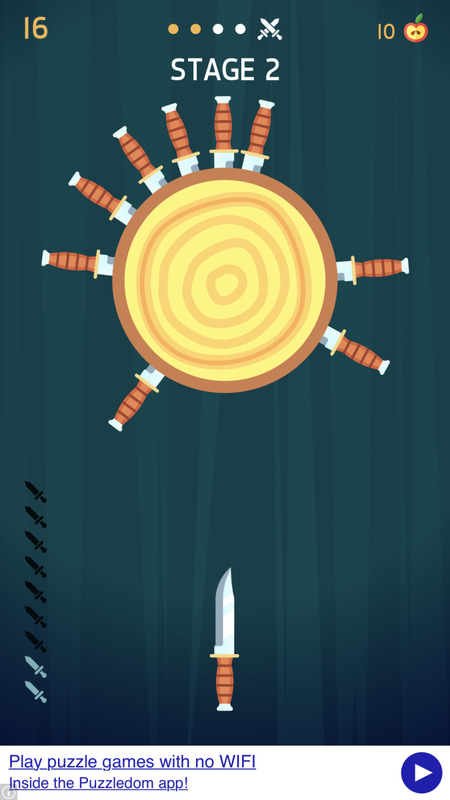 After a few rounds you face a "boss," and if you can beat that level, you earn more knives. 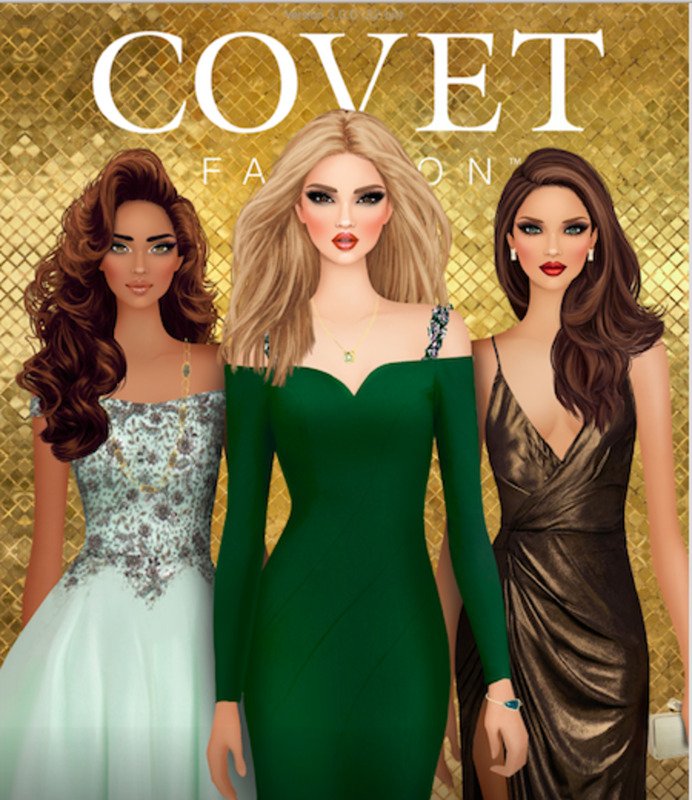 I swear to you that while this game sounds stupid, it is so addicting. It is the perfect game for killing time while you stand in line at Target. 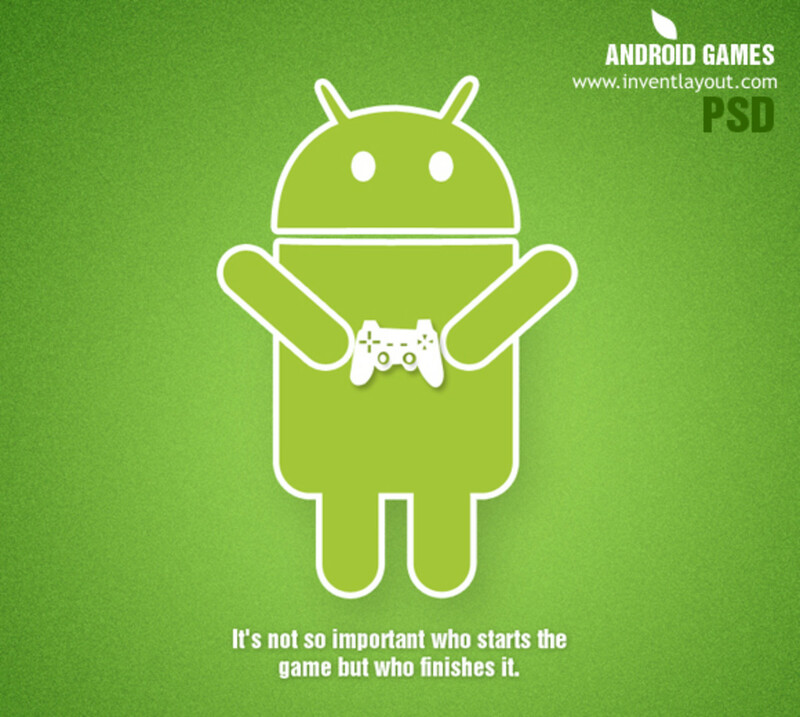 You will probably find yourself embarrassingly addicted to a game that most people wouldn't even give the time of day. Just like every other game on this list, Infinite Golf is a quick game that you can play while you wait. Unlike other games on this list, this game takes a little skill to play. The name of the game is in the title, at its core, it is a simple golf game. You pull back, aim, and release to shoot the ball toward the hole. The only catch is that you only have three tries to shoot the ball if you don't make it in three the game is over but as long as you keep making it the game is...infinite. Out of all of the games I played to come up with this list, this is the one that I found the most addictive. It is just challenging enough to present a challenge but not so complicated that you want to walk away for good. You may want to play this one with the sound off because, while it is nice it has sound, it can get annoying fast. 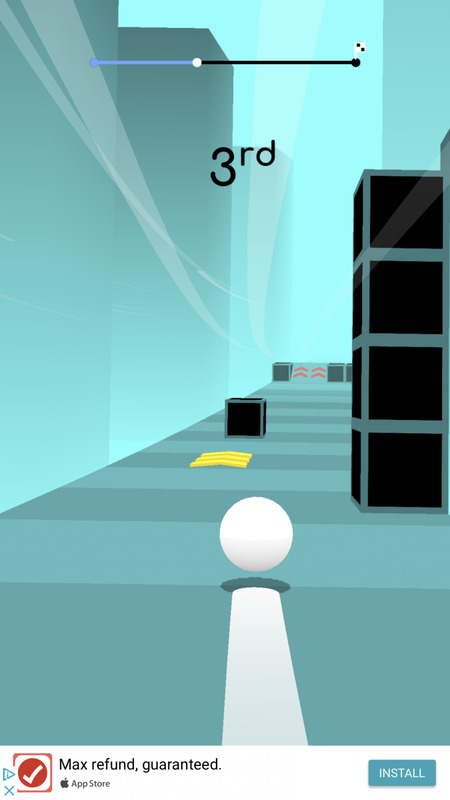 Balls Race is a fast-paced game that, even if you get to the end, only lasts about a minute. 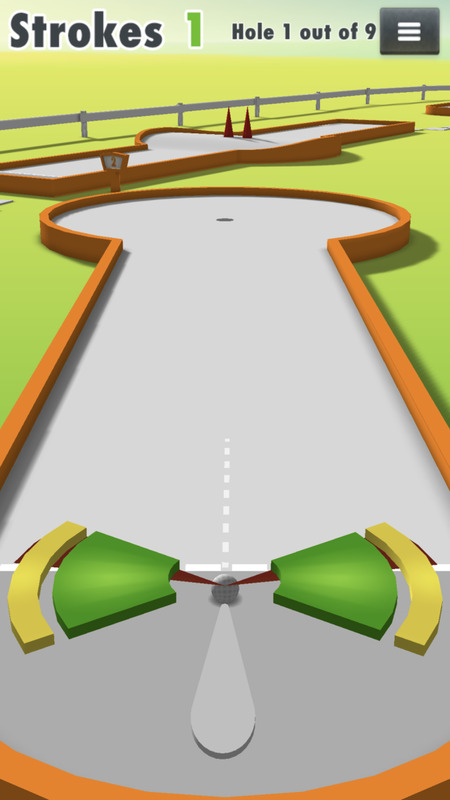 You are up against nineteen other balls all vying to get to the end of the track and finish in first place. The problem is that the game moves fast and you need to be moving quickly to beat the other balls which makes it easy to crash into the many obstacles on the track. This game may be simple in theory, but it is near impossible in practice. 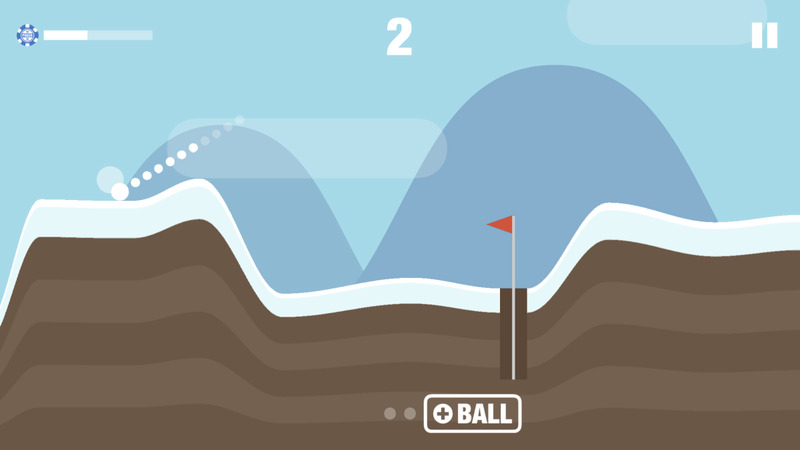 The ball moves so fast, and there are so many obstacles, I have played it a ton, and I still haven't made it to the end of a track. If you are looking for a challenge but not a commitment, this is the game for you. Archer is so stupidly simple, yet it will keep you entertained in a pinch. Much like Knife Hit by the same company the sole object of the game is to throw a sharp object at a target. 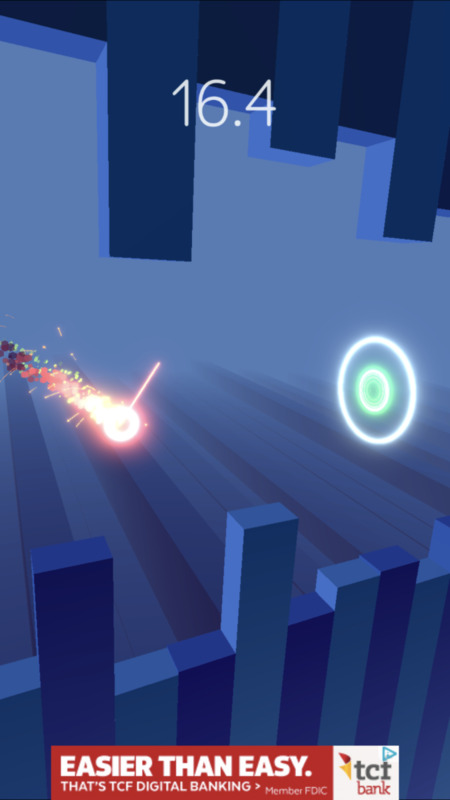 The difference is in this game that the targets change distance and even start to move as the difficulty increases. There is no obligation to this game making it the perfect way to pass a few minutes if you are bored. If you are forced to quit in the middle of the game, you will probably feel a bit of relief that you had a reason to stop. 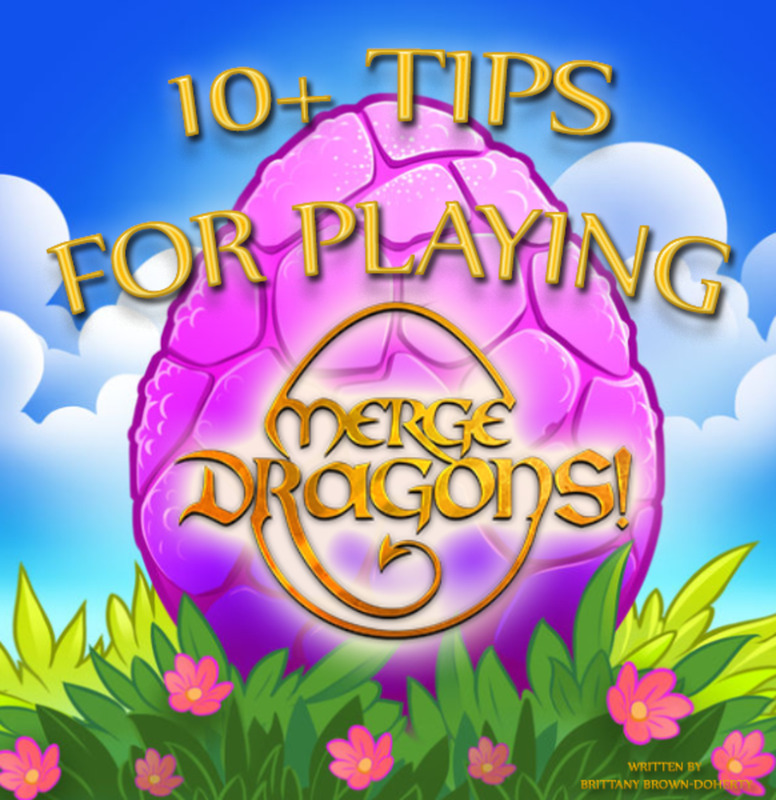 Though this game can get repetitive quickly, they offer a chance to change up your knives and targets to give it a little more life. It only fits that I end the list with another game by Voodoo. This game isn't very original, but originality doesn't make a game great. The name of the game is to keep jumping as objects come your way to build the tower as high as you can. It sounds pretty simple, but the platforms coming at variable speeds adds an unforeseen level of difficulty to the game. As far as the difficulty level goes, while this game is a little challenging, it is probably one of the easiest on the list. It doesn't take a huge commitment to play, and you can quit anytime without feeling like you lost progress. The game can get a bit repetitive, but they try to curtail that by offering new characters and backgrounds to use. These are not the only games of this type available in the app store. There is so much parody now, especially in the mobile gaming community, that even an inventive idea doesn't stay singular for very long. While there are probably a hundred games like each of these on the app store, I have played and stand by these ten games. All of these games are worth a download, and since they are all free if you don't like them you haven't lost anything but a minute of your time. The knife throwing one looks fun! They say that the best games are the ones that are simple to understand and impossible to win. That’s why Flappy Bird was so popular. Thanks for a great article!